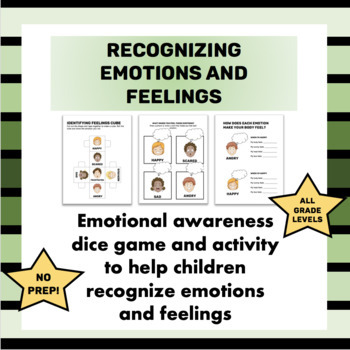 Identifying Feelings and Emotions is a no prep, fun game with a dice that features various emotions. 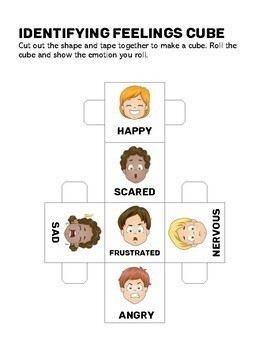 Students can make the emotion that they roll or tell the teacher something that makes them feel that way. Once they have a grasp of emotions and feelings, there are corresponding worksheets that help students get in touch with how their body reacts to feelings certain emotions. 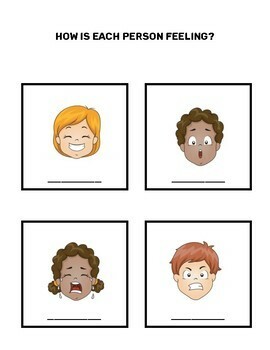 Activity and game heighten emotional awareness and awareness of others’ feelings.